The 2019 season is our Eastlake Women's Lacrosse inaugural season. We are looking strong in the pre-season and predicting the ability to field both a Varsity and Junior Varsity team. No lacrosse skills required to sign up. We welcome new players to register; there will be no-cuts this season. Lacrosse is the fastest sport on two feet! Sign up now to help us create the tradition of excellence at Eastlake. Try-outs begin February 25th and our first varsity game of the season is on the road, March 12th. Below you will find specific dates and information that pertain to our season. Practice will be held 2 hours per day Monday - Friday with occasional Saturdays from February 25th through May 3rd at Eastlake High School. 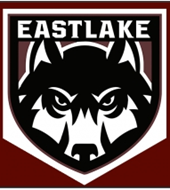 Check out this Lacrosse club team '2019 Women's Spring High School Lacrosse' with Eastlake Lacrosse!